Lana is a freelance writer, blogger, and editor who helps women to regain their power after experiencing toxic relationships. 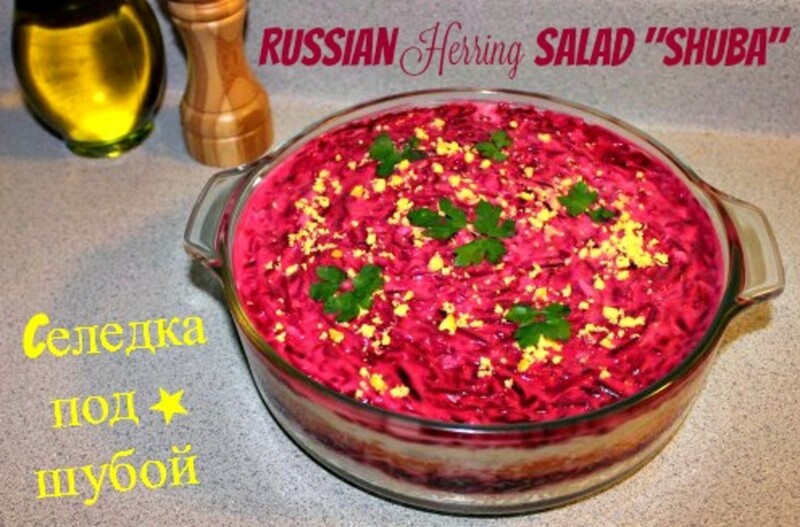 This salad is another indispensable dish at any Russian holiday table (see "Russian Dressed Herring Salad "Shuba"). 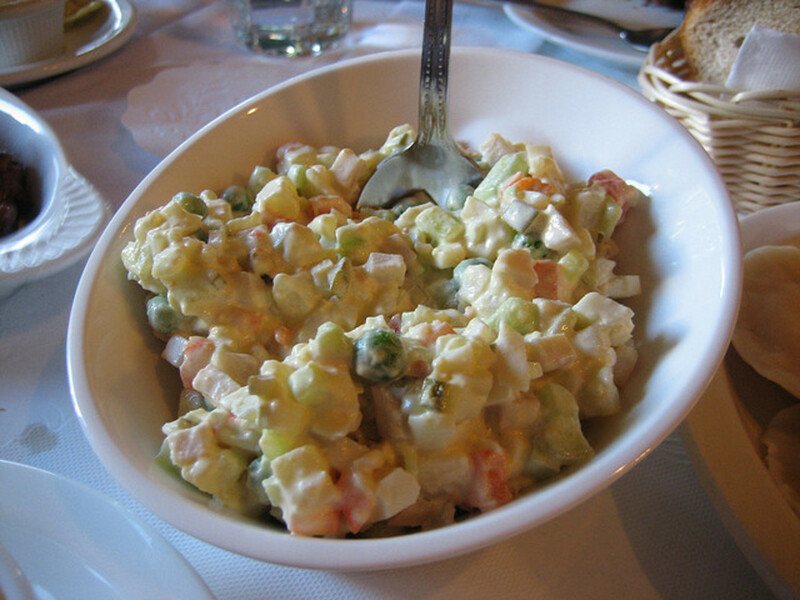 Although "Olivier" is often called simply Russian salad, the original recipe was created by a Belgian chef Lucien Olivier in the 19th century Moscow. Olivier kept the recipe a strict secret until some savvy gastronomes, having analyzed the salad, came up with the list of the ingredients. 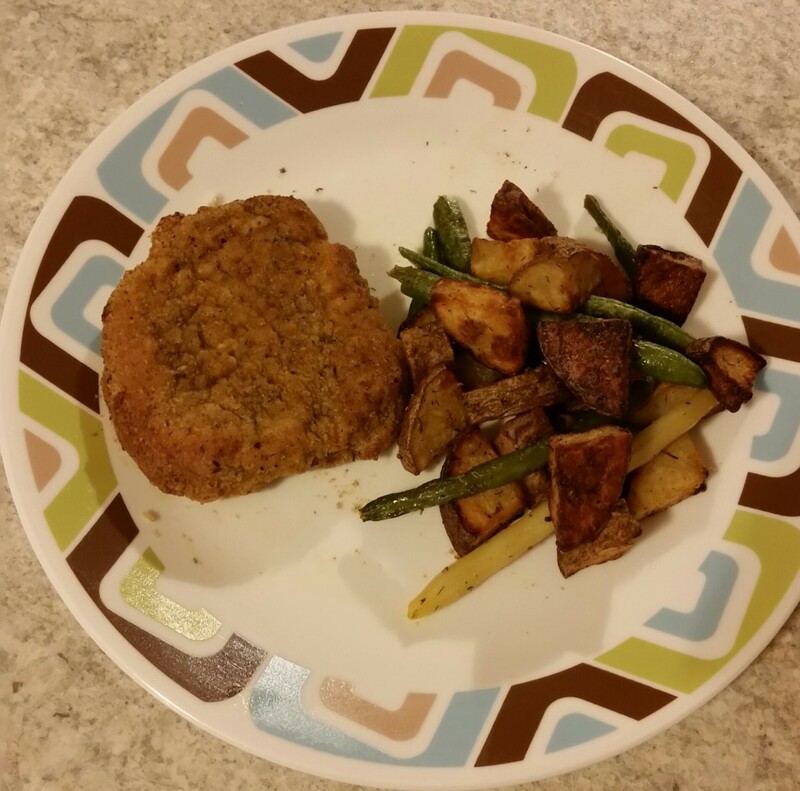 Of course, the modern recipe hardly resembles the original "Olivier," but it's still delicious, highly nutritious, presentable and very easy to make. 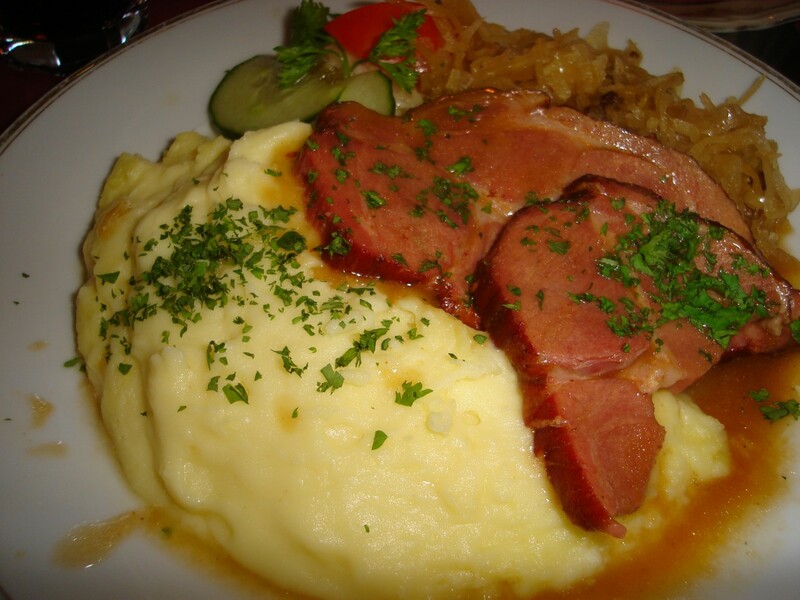 There are many versions of "Olivier," mostly depending on the kind of meat you use: some people prefer sausage or kielbasa, others - boiled chicken, crab meat, bacon, boiled tongue or even fish. To me, an ideal "Olivier" would have Russian kielbasa (something like a ham sausage, bologna or Italian mortadella - soft and not too cured, similar to regular hot dogs) cut into cubes. This is the way I remember it from my childhood. 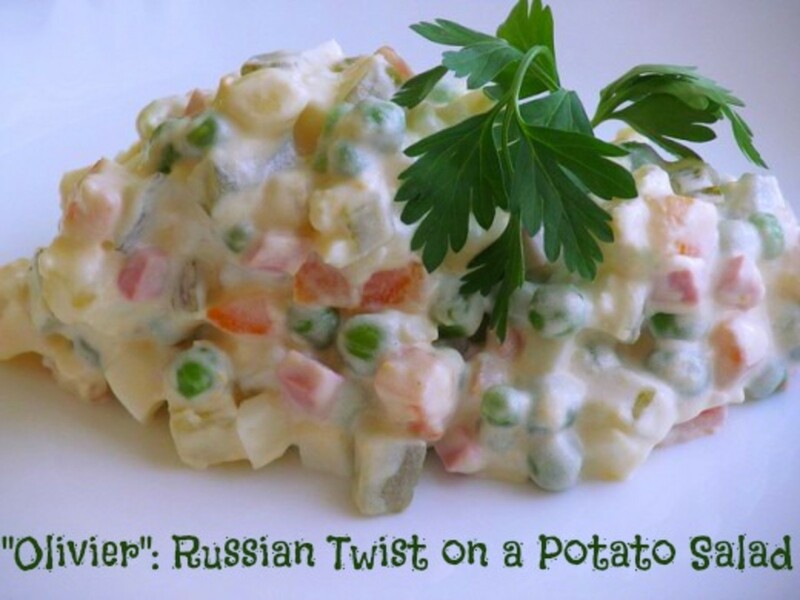 Every family has its own culinary traditions; I offer you my family's version of "Olivier," which happens to be a very simple recipe for a great dinner salad that's a staple of Russian cuisine. Bon appetite! 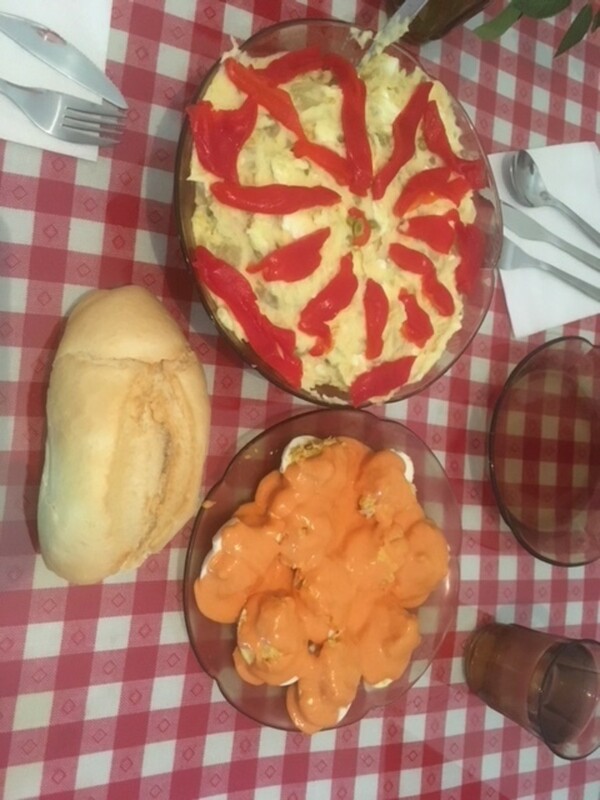 Boil potatoes, carrots and eggs. You can boil potatoes and carrots in the same large pot, but they do take different preparation times. The carrots will take about 15-20 minutes, potatoes - about 35 minutes, and eggs - about 12 minutes (make sure to place your hard-boiled eggs into cold water immediately, it will make them easy to peel). It's important not to overcook the veggies, otherwise they'll be too mushy. After the vegetables are ready, let them cooled off for an hour or so. Then peel them and cut them into cubes. The same goes for the eggs. 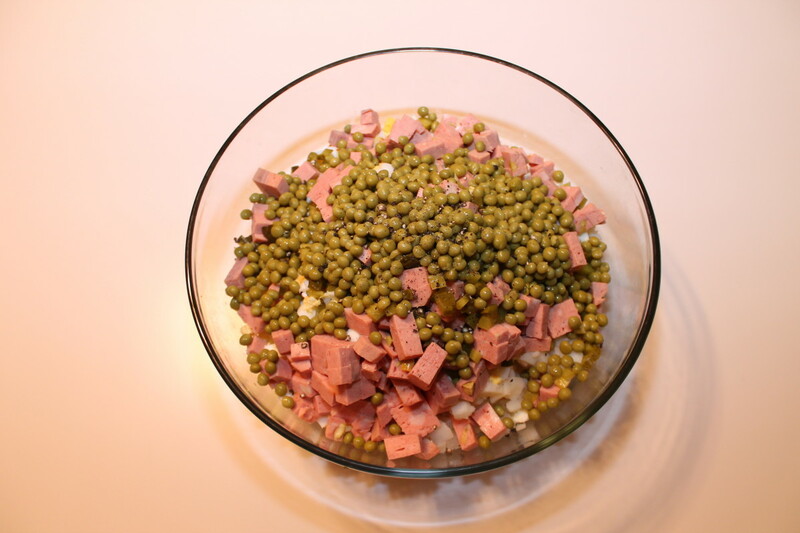 Cut your ham (or boiled franks) into cubes, or if you're going with boiled meat, tear it into small pieces. Then cut the onion and the pickles into little pieces, too. Now open a can of sweet peas and drain the liquid. Here comes the fun part - mixing it all together. 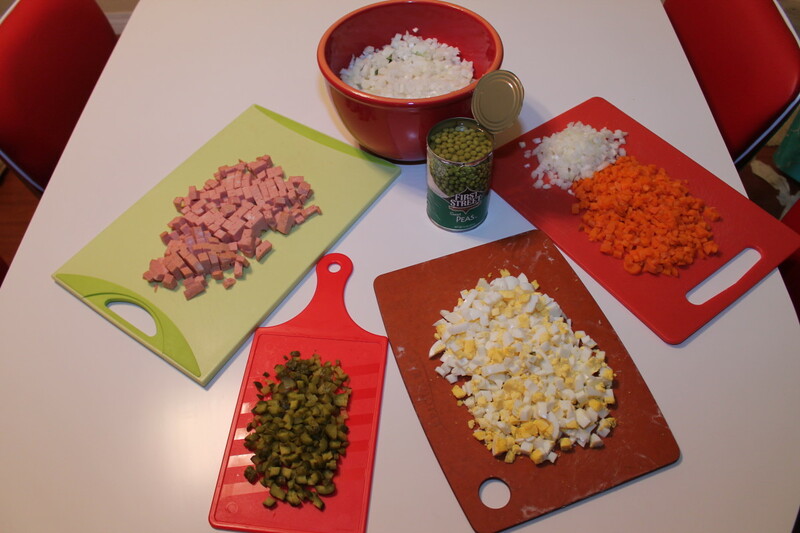 Put all the ingredients into a large bowl: diced potatoes, carrots, onions, eggs, pickles, meat and the sweet peas. Now add the mayo, salt and pepper to taste, and mix it all together. I also recommend adding a tablespoon of sour cream, if you have it. 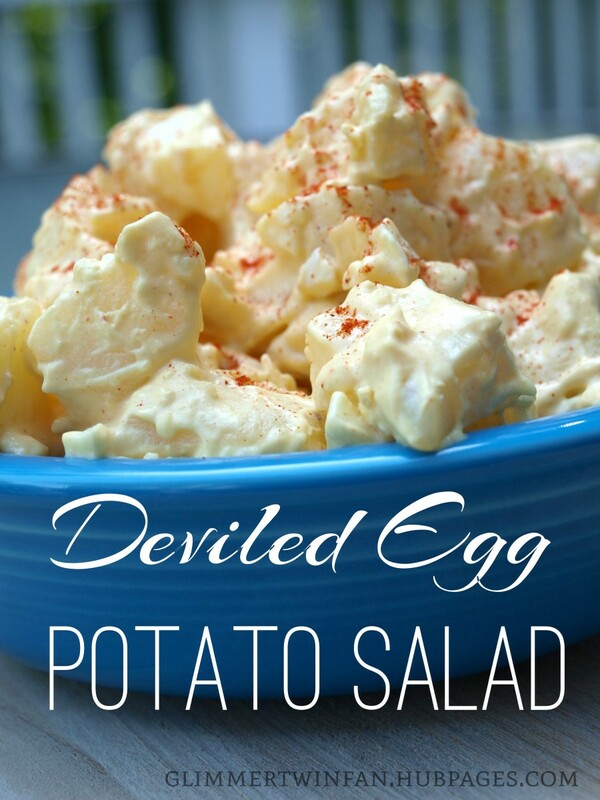 Not kosher (I hope my mother-in-law is not reading this), but it makes the salad creamier and more tender. The funnest step is mixing all the ingredients. Garnish with parsley and refrigerate the salad for a few hours or overnight. Refrigeration for at least a few hours in crucial so the mayo can work its magic. Olivier is great comfort food. 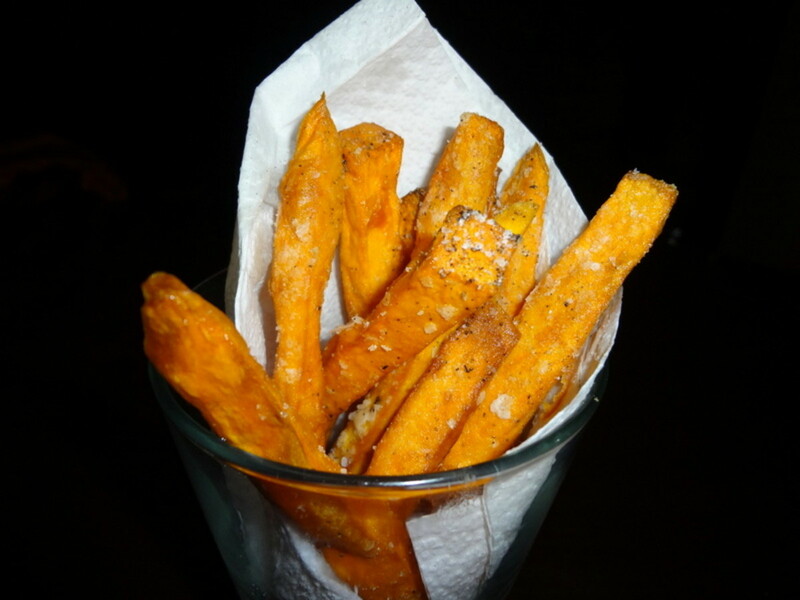 It can be a cold starter for a bigger meal, or a late-night snack. I like it with a piece of rye bread and a little Sriracha sauce. 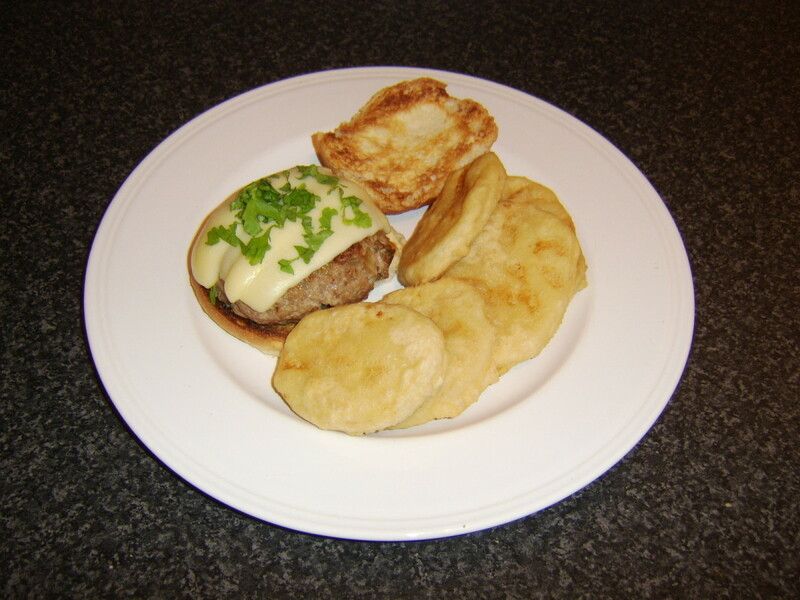 Hope this hub inspires you to try this popular Russian dish. Enjoy! Thanks to lots of potatoes, carrots, eggs and meat "Olivier" is very nutritious. One cup provides as much as 262% of Vitamin A, 370% of Vitamin C, 40% of Calcium and 97% of Iron (based on the average daily values). But there are ways to make it even healthier. Buy organic! Root vegetables like potatoes and carrots are some of the most vulnerable to chemical contaminants in the soil. Do yourself and your family a favor - spend a few extra bucks on organic food and save thousands of dollars on medical bills. Use lite or non-fat mayo since we're using a lot of it. Tastes the same, saves the calories. Steam your veggies or boil them in skin - it helps to keep the vitamins intact. Never cook when you're in a bad mood. Put your favorite music on, dance as you move, sing along - do whatever makes you feel good while you cook, and your food will always come out healthy and delicious! 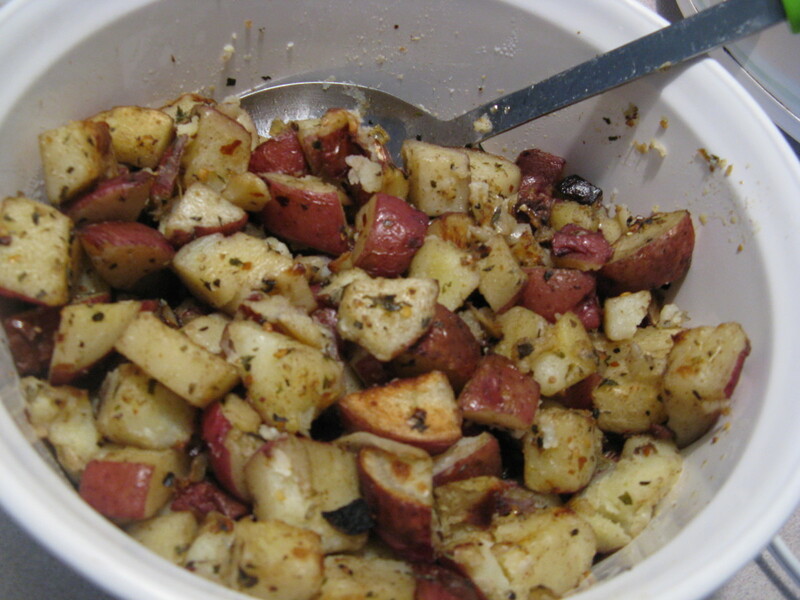 How to Make the BEST Oven Roasted Potatoes! It's a salad that everyone in Russia knows and loves, so if you're interested in international cuisines, I suggest you try it! Interesting recipe. 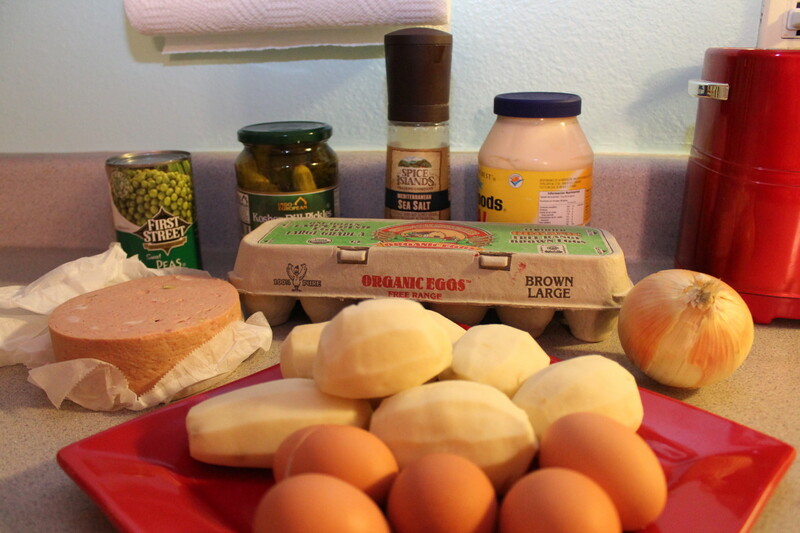 This Olivier Russian potato salad looks really good as can be seen in the images. The other images also help to show how to make this nutritious salad. Great recipe. It sounds interesting. Thank you for sharing.